or..wishful thinking on Google’s part, you be the judge. An article by HootSuite CEO Ryan Holmes was recently featured in Business Insider. Take a look at the original version here. 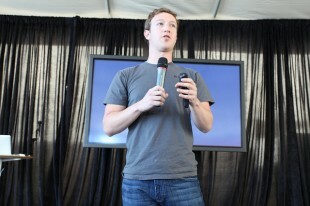 Last year, Facebook marked a new milestone in its nine-year history. While the network did pass the 1 billion monthly active user threshold globally in 2012, Facebook also lost 1.4 million U.S. monthly active users late last year, a small but symbolic decline. Nor was it the only network experiencing a slowdown. After years of double-digit expansion, social media use in the U.S. leveled off markedly last year. American social media users grew an estimated 6.8% in 2012, a far cry from 30 percent growth rates just a few years ago. With so many of the country’s 221 million netizens already logging into social networks, growth is forecast to slow to a trickle in the years ahead. Overseas, however, the social media landscape is entirely different. In India, social media users grew by an estimated 51.7% in 2012, no small change in a country of 1.25 billion people. Indonesia followed closely behind with a 51.6% growth rate. China’s social media user base expanded 19.9%. Latin America grew at a 16.3% clip, while Russia grew by 11.1%. To be sure, an ever-growing number of these international users are turning to Facebook. In fact, Facebook is now estimated to be the most popular social network in all but 10 countries. But there are numerous and notable holdouts. Around the world, localized, country-specific social networks are expanding, commanding the attention of billions of users in some of the planet’s fastest-growing economies. For global companies willing to dive in, the rewards are sizeable. But so are the risks. Perhaps nowhere are stakes higher than in China, where the blocking of Facebook and Twitter has given rise to wildly popular homegrown alternatives. By some estimates, nearly half of the country’s population of 1.3 billion is online and active socially. The Chinese social media landscape, however, is far from settled. The most popular networks are complex hybrids, combining the functionality of Facebook, Twitter, Instagram and instant messaging in one platform. Dozens of sites vie for supremacy, and millions of “zombie accounts” make it difficult to pinpoint where users are most active. The aging Goliath of Chinese social media is QQ, an instant messaging platform started in 1999 that claims some 800 million monthly active users. Nowadays, users treat QQ as a jumping off point to access a range of popular networking sites controlled by its parent company, Tencent Holdings. Arguably the most important of these is WeChat, a mobile platform similar to WhatsApp that mashes up instant messaging and video calls with photo sharing and status updates. Launched in January 2011, WeChat (known as Weixin in China) already counts 190 million monthly active users (nearly as many as Twitter) and is growing at an astounding clip of 25 million users per month. Brands like Starbucks, Nike, and Durex are just beginning to test the waters. 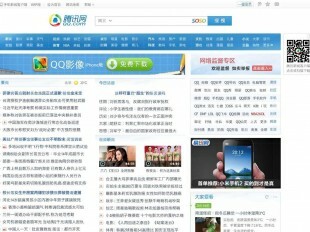 Another Tencent offering is microblogging platform Tencent Weibo. A fusion of Twitter and Facebook, it counts 277 million monthly active users, with a strong base in smaller cities and less economically developed areas. As on Twitter, messages on the network and other weibos like are limited to 140 characters. But, since each Chinese character represents an entire word or phrase, users have significantly more room for expression than afforded by a standard Tweet. Outside of the Tencent universe, the key fixture on the Chinese social media landscape is Sina Weibo, a similar microblogging service with 287 million monthly active users. Popular in larger cities and among educated users, Sina Weibo has drawn significant attention from international businesses, with 25% of Fortune 500 companies already onboard. It’s China’s original weibo and remains perhaps the country’s most important social network overall. Russia offers another case of social exceptionalism. 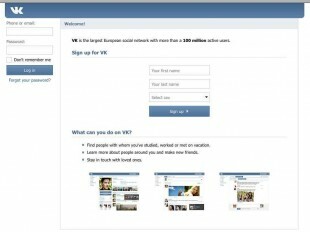 With a reported 100 million monthly active users, VKontakte, popularly known as VK, is the country’s most popular social media network. VK’s functionality is reminiscent of Facebook, with the familiar news feed and Like button, as well as Public Pages specifically for businesses. But VK also has hashtags like Twitter and photo filters like Instagram, and it’s used for music and video storage and content sharing. Demographically, VK users have traditionally been on the younger side, with professionals increasingly migrating to Facebook. In fact, VK is often looked at as the network of the people, useful for generating buzz but not necessarily for pitching high-end products. However, it is a paradise for millions of small businesses and serves an important niche reselling goods from Chinese online giant TaoBao. Not to mention that international brands including the BBC, National Geographic, Victoria Beckham and Tom Cruise have all plunged into VK with active ad campaigns. Slightly less popular is a site called Odnoklassniki, Russian for “classmates.” (While monthly active users aren’t disclosed, the network claims 148 million total registered users.) Positioned as a network for finding relatives and schoolmates, Odnoklassniki skews toward an older crowd and is particularly popular in less economically developed regions. While global companies willing to look beyond Facebook and Twitter have a chance to reach billions of social media users, gaining a foothold isn’t necessarily easy. English may be the international language of business, but it’s hardly the language of choice for online commerce and socializing. A recent European Union study showed only 18% of web surfers would make purchases from sites not in their native language. For social networking, users are even more inclined to communicate in their native tongue. Tapping country-specific networks, therefore, starts with effective translation. Social media etiquette and expectations also vary from country to country. International marketing giants Lewis PR recently ventured a few ground rules. The Dutch are notoriously averse to self-promotion, while in Russia puffery is par for the course. The Brits admire cheekiness done right, while Singaporeans are straight-laced. Privacy is paramount in Germany, while anonymity is often key in China. While these social types are obviously generalized, they do reveal that social media mores are far from universal. Social media users’ need for speed presents other challenges. If a company plunges into social networks halfway around the world, will representatives be able to respond in real time? What happens if a customer in Beijing complains and staff in New York are already fast asleep? A minor issue left unattended overnight can can grow into a viral nightmare by the morning. The right technology is also critical. Social media management systems – software for monitoring multiple social networks at once from one page – can help. Some systems are already incorporating country-specific sites into their lineups. At HootSuite, for example, we allow users to move between Facebook, Twitter and LinkedIn and local networks in China and Russia, not to mention Latin America and Western Europe, from a single dashboard. The means less time spent navigating exotic interfaces and more time spent communicating directly with users. 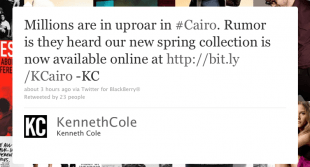 Kenneth Cole’s infamous Twitter fail. Ultimately, however, global success on social networks – whether localized platforms or transnational giants like Twitter and Facebook – comes down not to equipment but to local knowledge and sensitivity, plus a little common sense. Here’s guessing sales in Egypt haven’t exactly been brisk since. Wonderful site you have here but I was curious about if you knew of any discussion boards that cover the same topics discussed here? I’d really love to be a part of group where I can get feed-back from other experienced people that share the same interest. If you have any suggestions, please let me know. Thank you! Sorry it has taken me so long to get back to you! Your best bet is to check out Social Media Forums. Here is one that I haunt and often take part in. http://www.socialmedia-forum.com/ , http://www.warriorforum.com/social-media-marketing-forum/ and last but not least https://forums.digitalpoint.com/forums/social-networks.118/. Good luck and hope to see you in the funny pages! Hi there all, here every one is sharing such familiarity, therefore it’s nice to read this webpage, and I used to go to see this website every day. Just desire to say your article is as surprising. The clearness for your post is simply excellent and that i could think you’re a professional on this subject. Fine together with your permission let me to seize your RSS feed to stay updated with impending post. Thanks one million and please continue the gratifying work. attempting to create my own personal blog and want to find out where you got this from or what the theme is called.